Actually, this poem is a fairly accurate description of the weather last Saturday, October 22nd. It was a misty, gray and drizzly morning in the Fall, so carrying an umbrella outside was necessary. A light rain started early in the morning, continuing on and off throughout the day, becoming fairly heavy at times. That morning at around 9:00 a.m., Chris requested to do a pick-up at Boylston St. by the corner of the T stop, as he was running a little late. It was a quick ten minute walk from Chinatown to the intersection of Boylston Street and Tremont to meet Chris. After a whirlwind tour of downtown Boston, where Kade hopped in the car from a Massachusetts Avenue corner by Fenway Stadium, the vehicle zoomed toward Cambridge, splashing water onto sidewalks as it sped toward Methuen—fortunately, no one was on the sidewalks that early on a Saturday. Khristian Erich and David jumped in a few minutes after the car stopped in Cambridge, and the group was speedily transported to the nearest highway and on to Methuen and the Andover Pipe Organ Company (which is located in Lawrence, MA, not Andover) — thanks to the skillful maneuvering of Chauffeur Chris. Most of the party in the auto was feeling lethargic from lack of sleep, too much sleep from sleep aids, grogginess, or illness, but the promise of shiny pipe organs waiting in magnificent Methuen cut through the quiescent quintet’s queasy start to the car ride like a hot knife through butter, and the excitement continued to build as the wheels approached their destination. After exiting a seemingly busy highway, the pace slowed down as we entered a calmer, more subdued part of Massachusetts. Methuen is a quiet, small town in Essex County with a population of about 48,000 people, and complete with the typical small businesses (pharmacies, convenience stores, a local grocery store that I’ve never heard of, and a well known donut shop where one might dunk things in coffee). Once we passed the usual parts of a small town, we came up to a giant brick building, Methuen Memorial Music Hall (MMMH). The building was so tall that it was hard to fit into a single picture; it was mainly a huge mass of bricks on the exterior, but once we entered I was surprised to realize that the reason for the building’s height was to contain the “Great Organ” within. Ed Sampson, the president of the Board of Trustees of MMMH, Inc. warmly welcomed us to the hall. Mr. Sampson, a man in his 70’s, is an electrical engineer at Raytheon by day, and is a graduate of Northeastern University. 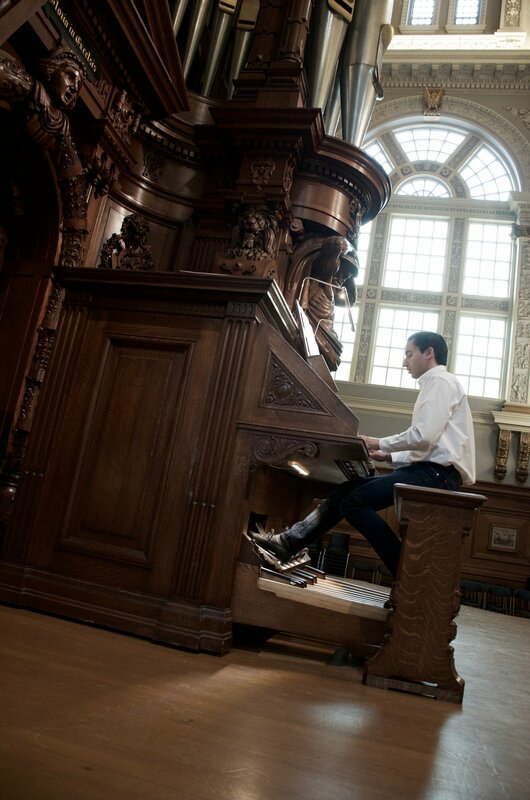 He was happy to see many young organists entering the historic building, and called it a real treat. Once the majority of people had arrived, Ed gave us a brief history and introduction to MMMH. The Board of Trustees of Methuen Memorial Music Hall, Inc. mainly consists of older professional people, who oversee the daily operations of the hall, accounting, special events, fundraising, upkeep of the pipe organ, and building maintenance. The organization is a 501(c)(3) nonprofit organization that manages the space and sponsors events for the community, such as silent movies, weddings, and a 15-week summer concert series. Ed told the group that the events don’t really pay for the upkeep of the building and payment of performers, so MMMH is fortunate to have the help of local banks and businesses (florists, funeral homes, etc.) that sponsor them. 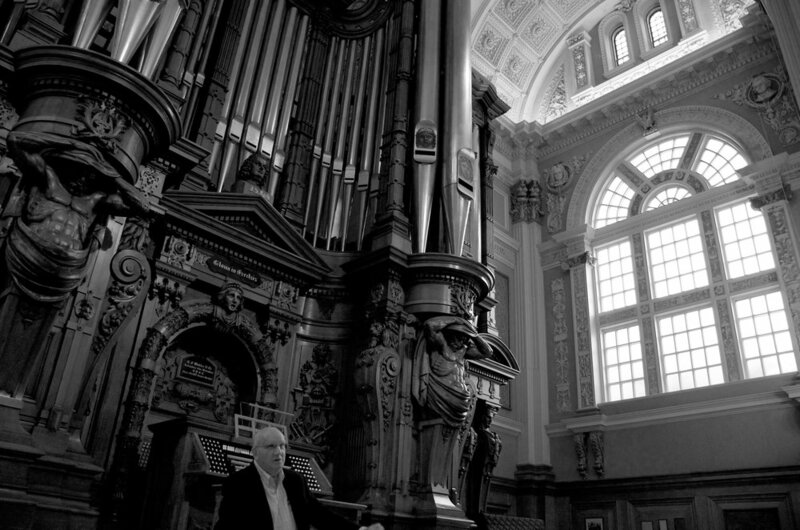 Ed went into great detail about the history of the pipe organ; most of the finer details are unclear in my mind due to the week time-lapse between the visit and the writing of this article. ;) Fortunately, Ed printed a very informative and extensive packet of information and handed it to us. I would write things verbatim from his packet, but fortunately, Ed already did the work and posted on MMMH’s site, so check it out! The pipe organ, which is also known as “The Great Organ” — most likely due to its colossal size — was built thanks to fund-raising efforts spearheaded by Dr. Jabez Upham, President of the Boston Musical Hall Association. Design and construction of the instrument was completed between 1857 to 1863 in Ludwingsburg, Germany, by E. F. Walcker and Company (a firm recommended to Upham by Franz Liszt). Interestingly, Boston Music Hall is now the location of the present-day Orpheum Theatre on 1 Hamilton Place in Boston. Eventually, the Boston Symphony Orchestra claimed that space as its home and didn't quite fit on stage along with the massive organ, so a resulting court injunction forced the organ to be expelled from its home. The dismantled organ lay in a wooden building near the New England Conservatory of Music until 1897, when a representative for Edward F. Searles bought the parts at auction. Eventually the organ was moved to its present-day location, and after many changes of ownership, MMMH, Inc. was founded to care for and promote the organ. 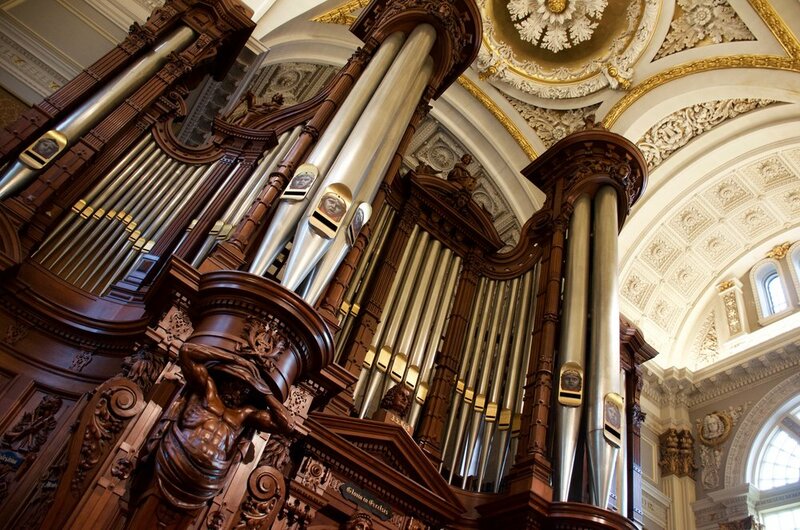 The Great Organ was the first concert organ in the United States, and its presence in the United States had a great impact on American organ builders. Ed told us that a year ago, he had attempted to convince the Organ Historical Society of the Great Organ’s historical significance. However, we were surprised to learn that, even though the Society agreed the Organ had played a role in the musical history of the United States, the pipe organ itself had so many new or replacement parts that it no longer met their benchmark for preservation status. This was unfortunate news, as the organ and the space it is in are definitely something to be preserved. According to Ed’s pamphlet, the Methuen Organ today has four manuals, five divisions, 85 stops, 116 ranks, and 6,088 pipes, enclosed in a black walnut case that has 32-foot tin facade pipes. Laura played first, performing an exciting rendition of Mendelssohn Organ Sonata No. 3 in A major, after which I played the prelude from César Franck’s Prélude, Fugue et Variation. I noticed that there was definitely a lag for the sound to come to me once I depressed the keys—a reality about which Chris had warned me. Even still, it was definitely jarring. As someone who is new to pipe organ playing, it is a surprising and discombobulating experience to play in a new context, in a new room, and on new manuals, with new stops. This was probably my second or third time playing on an electric action pipe organ, and the fact that the room was so huge made it hard to gauge how quickly I should be going and what I should be listening for. I felt like I was constantly slowing down and not syncing up with what I was hearing. Somehow, I managed to make it through the piece, with a few (hopefully minor) errors and pauses, but I enjoyed the piece’s melody and others seemed to like it as well. Overall, it was a fun experience to play on such a mammoth pipe organ, and I’ll at least know what to expect in the future when playing in such a large hall. All of the students who attended the trip had a chance to play on the Great Organ, and it was a delight to hear what everyone has been working on. Chris had to help most of us choose which stops to use, as there were a great deal of options to choose from! There was also a beautiful reproduction of a fresco of Guido Reni’s “Aurora” that was made by Carl Nicoli, with special permission by the Italian government at the request of Edward Searles during Mr. Searles’ time in living in Rome. 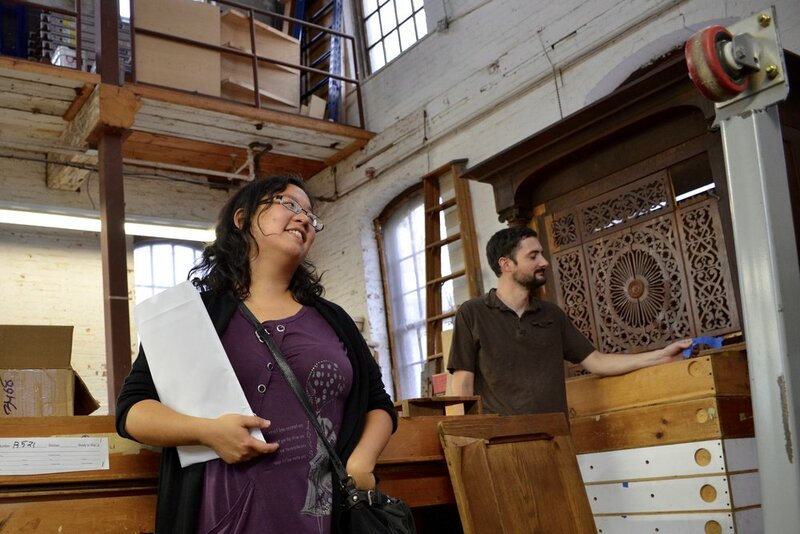 Toward the end of our playing, pipe organ builders Ryan Bartosiewicz, Matthew Bellocchio, and Jonathan Ross from Andover Organ Company came to give us a tour of the inner-workings of the Methuen Organ. I tried very hard not to fall from the stair-ladders into the pipe workings below! A little behind schedule, Noel and Jennifer showed up toward the end of the organ tour, and we were treated to Noel's performance of Bach's Pièce d’Orgue and Jennifer's Fantasy on B-A-C-H by Franz Liszt. Afterward, we all went to the Andover Organ Company in Lawrence, MA to have a pizza lunch. It was great relief, since climbing all those ladders inside the Methuen Organ made me anxious, and when I feel anxious food usually makes me feel better. 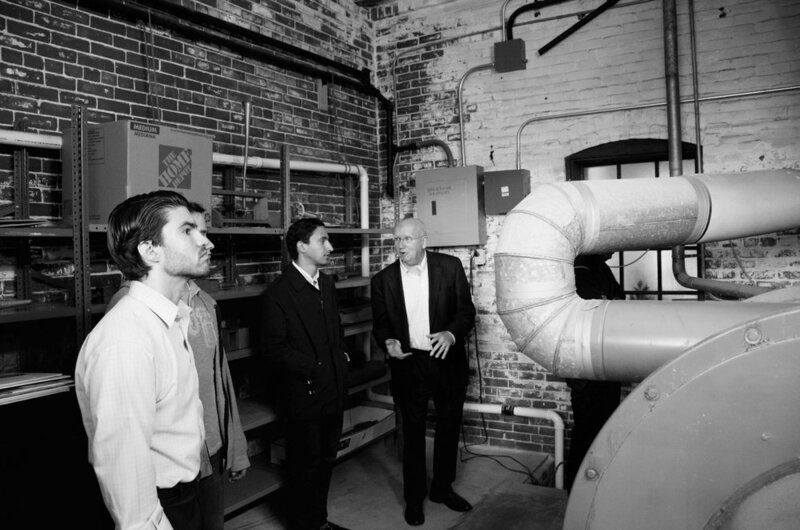 The organ company is housed in an old factory complex, in yet another big brick building. I suppose bricks make for sturdy buildings—it seems that the major problem that the MMMH had to deal within its architecture was flooding, rather than structural issues. Anyway, the folks at Andover Organ Company were incredibly informative and knowledgeable. After pizza, we diveded into two groups and received a tour of the shop from Ryan and Jonathan. 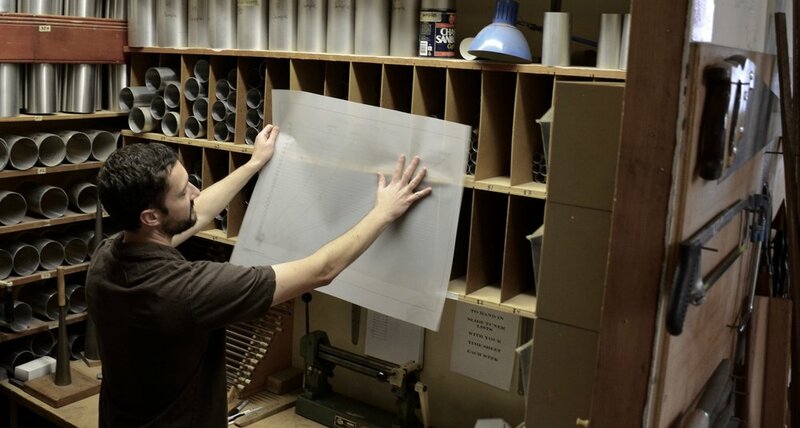 I went with Ryan’s group; we started on the second floor of the complex, which housed many work benches and materials for creating things like the bellows of the pipe organ, electrical components, and for refining pipes to give them a good sound quality. 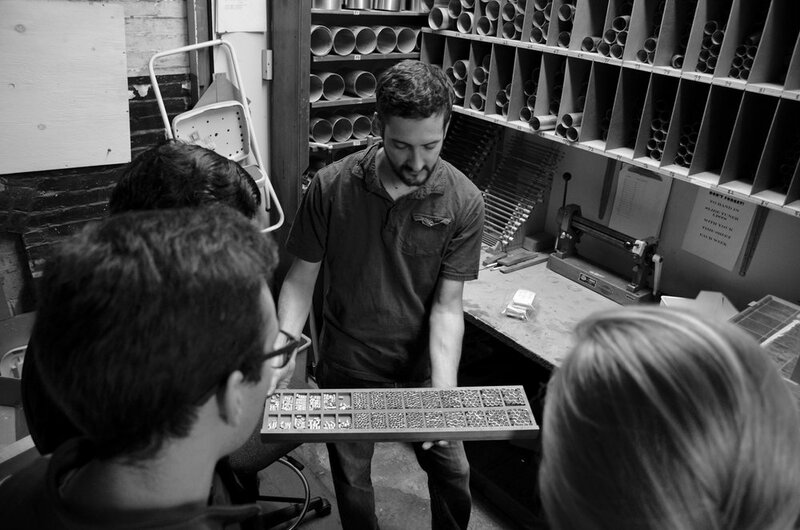 Ryan showed us how leather was reapplied to the bellows using a special glue. 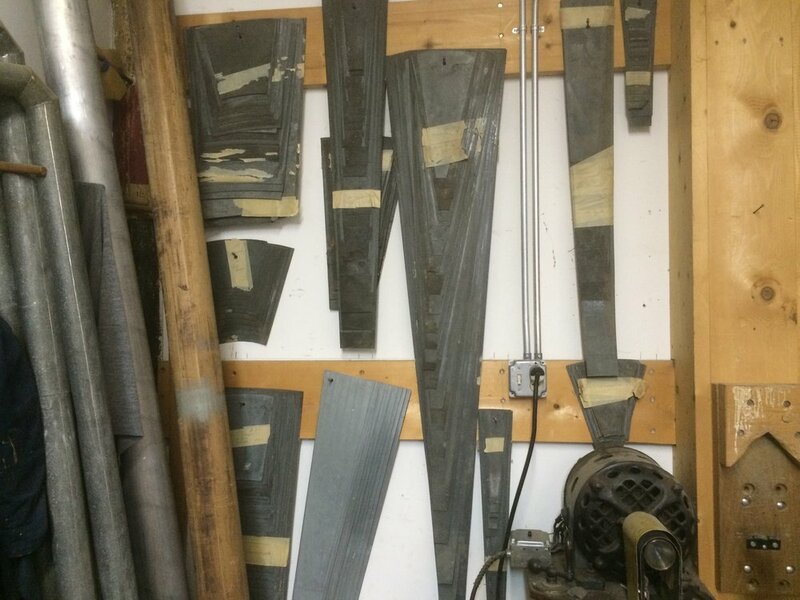 Indeed, the Andover Organ Company also has a shelf full of different leathers, with felt sides, sewing, etc., that have different uses for the organ parts. Some might act as padding for keys so there isn’t a click heard when mechanical action keys are pressed, and other leathers can be used in the wind mechanism that have an air-tight seal, for example. Some plans for the Andover Organ Companies current project. It looks very neat! We received some nice goodies from the Andover Organ Company for visiting – CD’s of people playing on organs they built. A room where pipes are refined and tested. The contraption blows wind through the pipes, and there is a bench behind Ryan where tools can be used to tinker with the pipes. 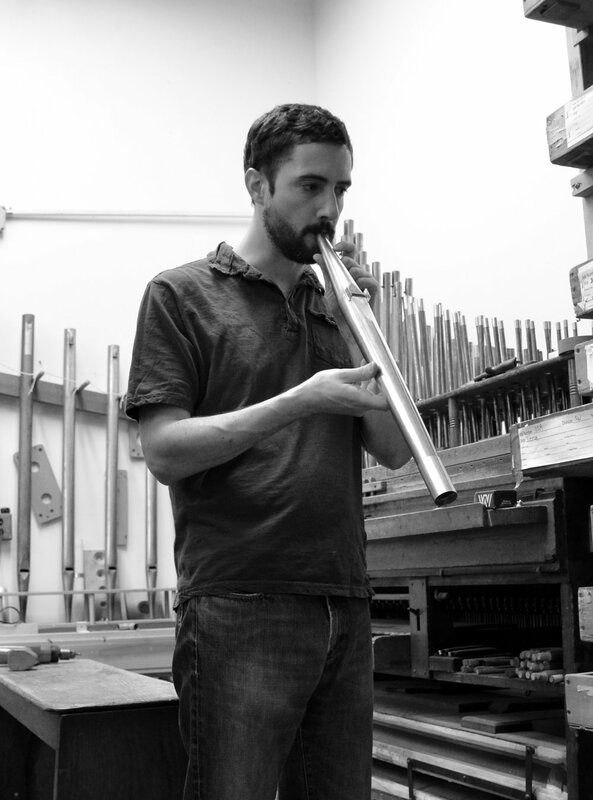 The reed at the end of the pipe has a good amount of curvature have a full sound—it looks like a lot of work to perfect just a single pipe. Casts for pipes from when Andover Organ Company used to make their own pipes. A drill-press that hangs from the wall for making pipe organs—apparently it makes it easier to move large parts through and drill them. It was neat to see the innovative ways that the organ builders used their devices to get the job done. We also learned about how trackers work and what happens when a stop is pulled. These are sliders. I wish I had an automatic sander when I was in woodshop class, but Andover Organ Company has one. How efficient and smart! You just turn it on, the belt starts turning, and you feed through the wooden plank, and voila! I asked how long it takes to learn the basics of building pipe organs, and Jonathan told us that it’s a lifelong process and that he is still learning. After a intellectually stimulating and exciting tour of MMMH and Andover Organ Company, Chris drove us back to Boston. We were tired enough to pull over for some coffee. Our trip was a lot to digest, and it will take some time to fully appreciate the fruits of the day. Visiting MMMH and Andover Organ Company made me realize how much a culmination of human knowledge and resources from the past and present are required to maintain and continue the legacy of pipe organ music. It was a great honor to meet Ed Sampson at MMMH and the organ builders today. Pipe organs really are a community effort, which is unique among the instruments that I’ve played so far—once a violin is crafted, or a piano is moved into a living room, one doesn’t have to get a crew of violin builders or piano tuners to come in to make sure things are in working order, and they’re made much more quickly and easily than pipe organs. 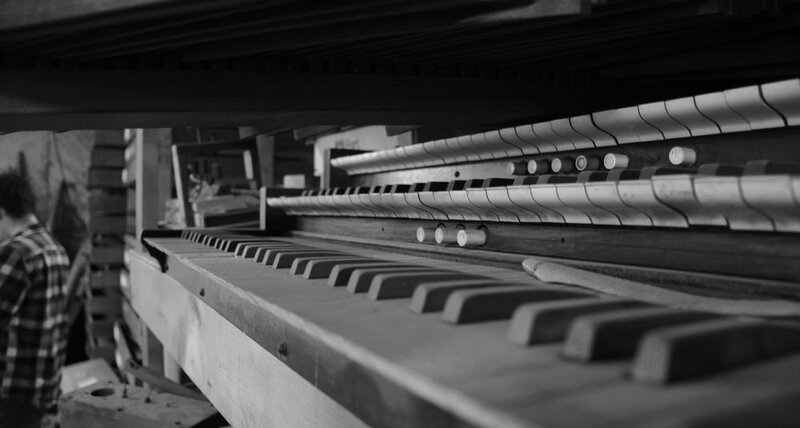 It’s also interesting to think about how pipe organs are instruments meant for the community, and community functions, whereas piano and violin can just be solo instruments. 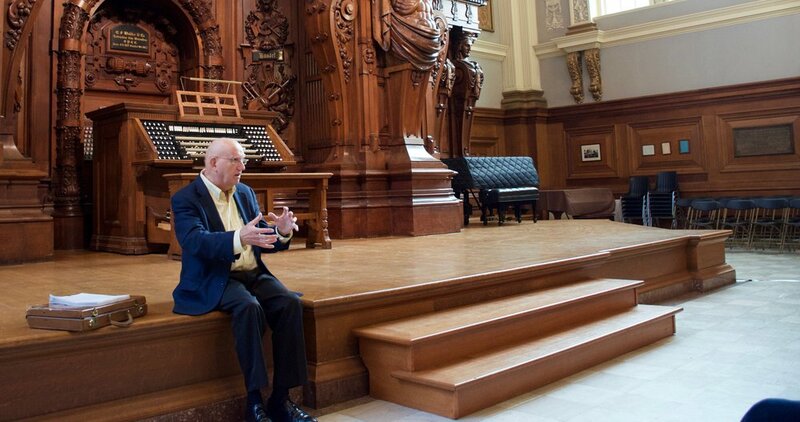 As a newer pipe organ student, the significance of the communal history of the pipe organ and the people involved in creating each instrument is becoming more apparent each time I learn something new about it.